By Office for the Advancement of Research in Uncategorized on July 16, 2018 . Dr. Edgardo Sanabria-Valentín sees himself in the PRISM students he works with. He credits his alma mater, the University of Puerto Rico, with instilling in him the spirit of preparedness that he brings to student researchers and presenters at John Jay — being ready not only with the technical facts but with the message about why your research is important, and how you are changing the world. “Because of that, every time we go to a conference, we get minimum one award — my top is three!” he says. 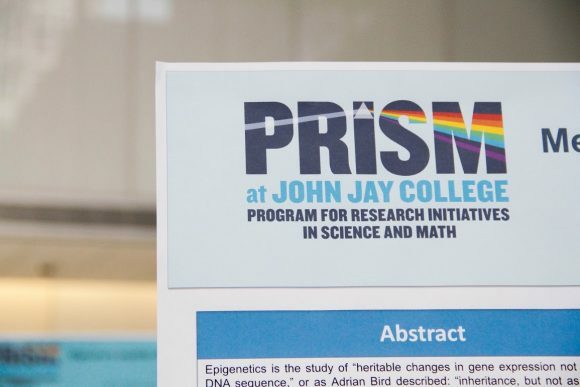 “Every time we go to an undergraduate research conference, John Jay’s name always comes up.” It is this tangible commitment to bringing out the best in John Jay’s science students that earned Dr. Sanabria-Valentín, who is the Associate Director of the John Jay Program for Research Initiatives in Science and Math (PRISM), a 2018 APACS President’s Award. At its heart, PRISM is about teaching students skills, not only in the sciences but also to prepare them to succeed in and after college. “The bread and butter upon which PRISM was founded” is the Undergraduate Research Program. The program provides students with opportunities to be exposed to the process of science beyond their normal classroom studies by working directly with a faculty mentor on an original STEM research project. And PRISM has grown. A second component is the Junior Scholars program, giving academic support to eligible students that can include stipends, professional development events and supplementary advisement, as well as financial support in applying to post-graduate programs in New York State-licensed professions. Just as important for an institution that counts many first-generation college students among its student body, Junior Scholars collaborates with student support services across the college, like the Math and Sciences Research Center, Center for Career and Professional Development, Wellness Center, Center for Postgraduate Opportunities, and even more. The program is designed to make sure that students have all the tools to get to know their college and excel. External funding is part of what drives PRISM’s growth. The New York State Collegiate Science and Technology Entry Program, or CSTEP, awards grants to postsecondary and professional schools to start academic support programs — like PRISM — for students from underrepresented minority groups, or who are economically disadvantaged, to help them get into STEM fields. John Jay was among the first class of schools to receive CSTEP funding, thirty years ago and out of roughly 200 PRISM students, the CSTEP grant supports 140. Edgardo’s goal is to double that number over the next five years. 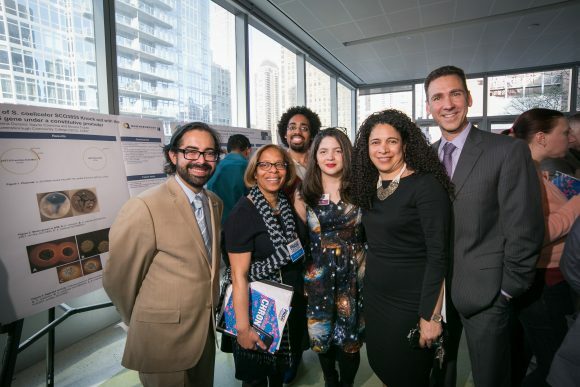 His hard work is a large part of why the CSTEP program is at John Jay — after a short hiatus, Edgardo’s application brought the program back in 2015 — and of John Jay’s unique status as the only school to have institutionalized this type of academic STEM-focused support initiative. He is also responsible for collaborating with other CSTEP schools in the region: NYU, Hostos Community College, Fordham, City College and Mt. Sinai are among the Manhattan and Bronx institutions that participate with John Jay in our CSTEP Regional Research Expos. Participating students are invited to present their own research in poster sessions and attend professional development activities. His work on and logistical support for the expos has earned Edgardo an award from the President of the Association of Program Administrators for CSTEP and STEP (APACS). The honor also recognizes his success in running a program that benefits students in the sciences. 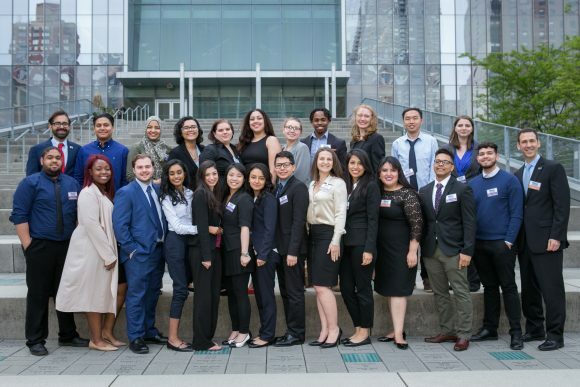 The advisement services offered by PRISM have created the conditions for increased student success at John Jay and degree completion, and the program puts students on a path toward the pursuit of higher degrees, or toward a place in the workforce in a variety of science, technology and computer science fields. The Undergraduate Research Program has measurably helped students to pursue post-graduate degrees in science, medicine and more. Edgardo Sanabria-Valentín, Ph.D. is the Associate Program Director for PRISM and also the Pre-Health Careers Advisor at John Jay. He holds a Ph.D. from NYU-School of Medicine, where his dissertation work involved studying the mechanisms Helicobacter pylori employs to persist in the human stomach for the life span of each host. He came to John Jay after a Post-Doctoral Fellowship at Harvard Medical School followed by 3 years working in the Biotechnology Industry in Boston. 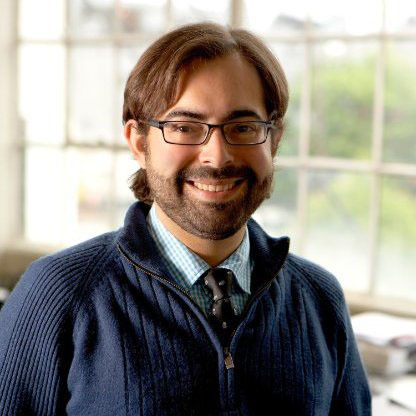 Dr. Sanabria-Valentín is the recipient of the ESCMID Young Scientist Award (2007), a Leadership Alliance-Schering Plough Graduate Fellowship (2006), and the NBHS-Frank G. Brooks Award for Excellence in Student Research (2001). He is also a founding member of the NYC-Minority Graduate Student Network and The Leadership Alliance Alumni Association.